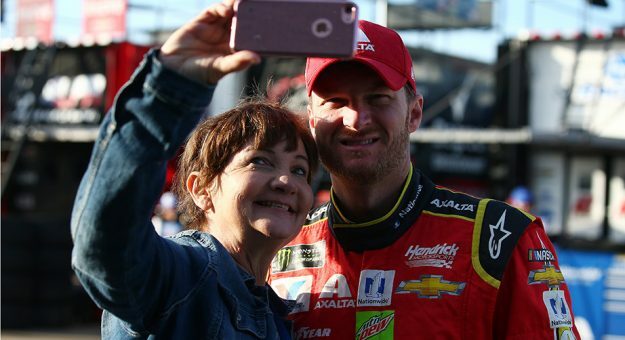 Take a selfie with Dale Earnhardt Jr.
Have you ever taken a selfie with Dale Earnhardt Jr.? Well, whether or not you’ve been so lucky, it doesn’t matter, thanks to advances in modern technology. Now, in celebration of 8/8 — Dale Day, if you will — you can take your very own selfie with the most popular NASCAR driver of all time. Simply choose an image from your device, and it’ll magically turn into a selfie with Dale Jr.